Channel the flannel! 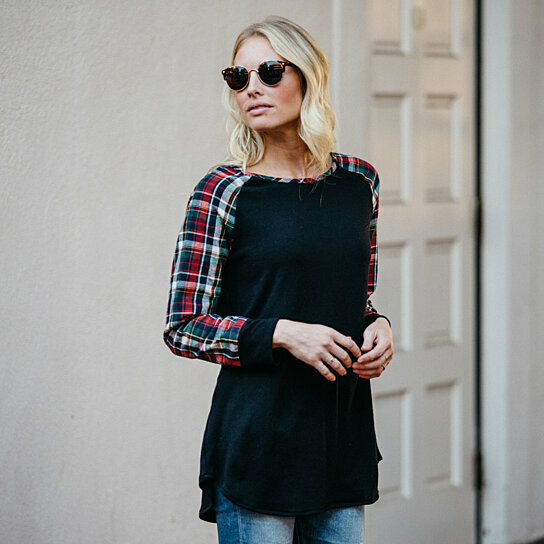 This oversized top will become an instant favorite with its fun flannel sleeves and comfy rounded neckline and hemline. Throw it on with your favorite bottoms for a casual day in or out.